“You Are So Beautiful”, the new video from EMIGRATE, the side project of RAMMSTEIN guitarist Richard Z. Kruspe, can be seen above. 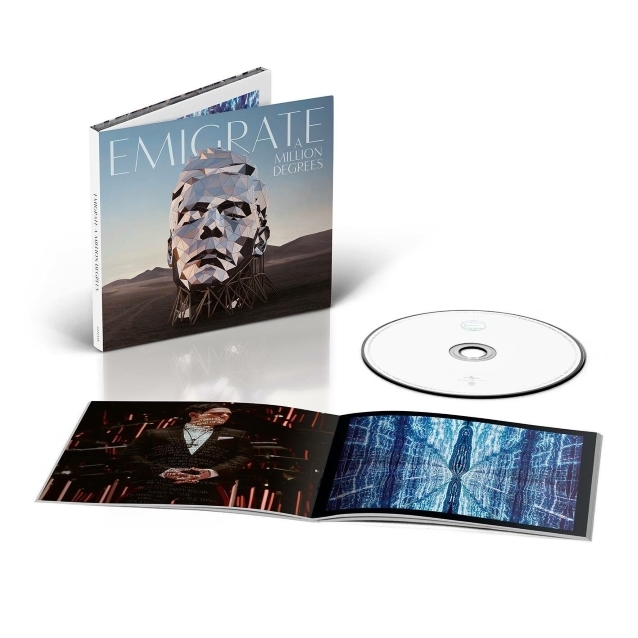 The song is taken from EMIGRATE’s third album, “A Million Degrees”, which is being released today (Friday, November 30) via Spinefarm Records. The “You Are So Beautiful” clip was shot in Los Angeles with director Bill Yukich and stars Richard’s daughter Maxime Alaska Kruspe Bossieux. From September 2017 onwards, a re-invigorated Kruspe set about the task of re-writing, re-arranging and re-recording the album tracks, handling the production side himself, with Van Hoff focussing on the engineering and the mix. They used the historic Funkhaus in Berlin’s Nalepastrasse (onetime broadcasting base of the GDR) for the drum tracks, with everything else being handled in Kruspe’s own studio; the RAMMSTEIN man took charge of the vocals and the guitars, supported by APOCALYPTICA’s Mikko Sirén on drums and Arnaud Giraux on bass, both reprising their roles on “Silent…”, with Sky also helping out on bass.